1. Low-Life was preceded by the release of the single for "The Perfect Kiss." The original version of "The Perfect Kiss" was almost nine minutes long, but when the song turned up on the subsequent album, it was in a shortened version which lasted a mere four minutes and 50 seconds and, in addition to other edits, dropped the third verse, which - d'oh! - is the verse where the words of the title are actually sung. In fact, the complete, unedited version of "The Perfect Kiss" didn't make it to CD until New Order's catalog was reissued and expanded in 2008. That's right: if you go back and check out the original CD release of Substance, you'll note that the song is missing almost a minute of its original run time. While the shortening was originally done because of the space limitations of CDs, technological advances have allowed for longer-running CDs since then, yet the shortened version still remains. Go figure. 2. The video for "The Perfect Kiss" was directed by Jonathan Demme. New Order would go on to work with Demme again for the "Bizarre Love Triangle" video, a decision which may well have been made after New Order's live take of "The Perfect Kiss," when he giddily announced, "Yeah! That was great! That was amazing! Everything was great! Whoa, that was good!" Not that you can tell from their expressions at the end of the video, but trust us, we've heard the tape. 3. "Love Vigilantes" has been covered by a number of other artists, most of whom sound nothing at all like New Order...not unlike "Love Vigilantes" itself.. 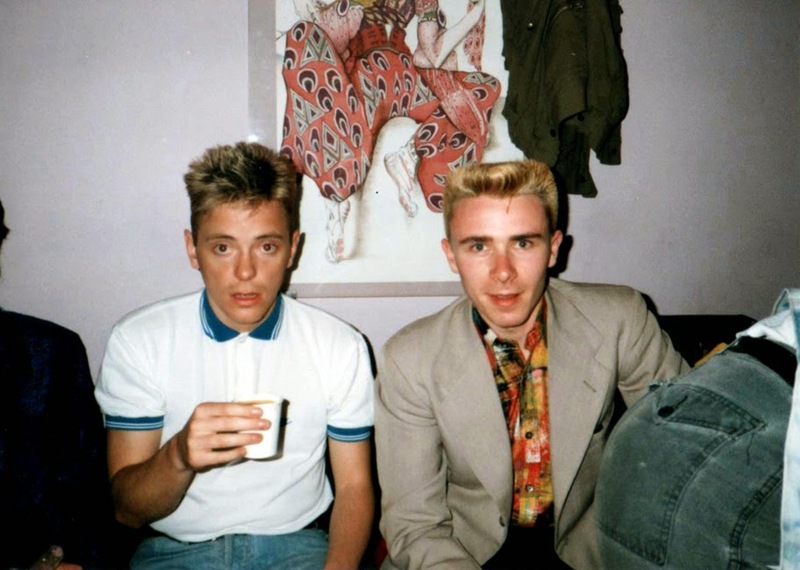 The lyrics of "Love Vigilantes" were composed by Bernard Sumner, who - according to a 2012 interview with GQ - had "decided to write a redneck song," may have intended the track to be "quite tongue-in-cheek," but what he produced was a surprisingly moving tale of a soldier who goes off to war, leaving his wife and child behind, only to return to find lying on the floor, clutching a telegram which had informed her "that I was a brave, brave man, but that I was dead." That it was meant to satirize has hardly mattered: the track has gone on to be effectively covered by such artists as Iron & Wine, the Oyster Band, Poi Dog Pondering, and Duncan Sheik, all of whom took it quite seriously. 4. The track "This Time of Night" inspired the title of a concert video by the band. Sort of. The original title of "This Time of Night" was "Pumped Full of Drugs." We don't know why the title ended up being changed, although for some reason we imagine a record label twitching a bit at the thought of including a song with that title on an album. Still, if that was the case, they must've gotten over their uncertainty by the time New Order got around to releasing the video recording of their performance in Tokyo from just prior to the release of Low-Life, since the concert was released under the title of - you guessed it - Pumped Full of Drugs. 5. Peter Hook has described "Sunrise" as featuring "the bassline that every bass player would love to have." In an interview with Paul Gleason, Hook described the track as "really powerful...especially when played live," happily - and not inaccurately - giving himself most of the credit for its effectiveness. When Gleason revisited the topic with him a few years later, he stood by his assessment. "The bassline is a killer, if I say so myself," said Hook. "It really drives the track and pushes the drummer to try and keep up! The bassline...is a great riff and definitely one of my best. I think it showcases all the aspects of my playing." 6. The version of "Elegia" on Low-Life is only an excerpt from the original version of the song, which was 17 and a half minutes long. When New Order decided to pay tribute to the late Ian Curtis, they didn't do so in anything resembling half-measures: "Elegia" was a 17:29 farewell to the former Joy Division frontman. Although it was obviously severely shortened for its inclusion on Low-Life, the full-length version has since seen formal release. and the song has since gone on to appear in a number of films and TV series, but it's arguable that its most effective use was in Mark Osbourne's short film More, which went on to be nominated for an Academy Award. 7. "Sooner Than You Think" features some of the most eyebrow-raising lyrics of Bernard Sumner's career. 8. The "Sub-culture" single came out with generic cover art reportedly because the band's usual artist didn't approve of the mix of the song. 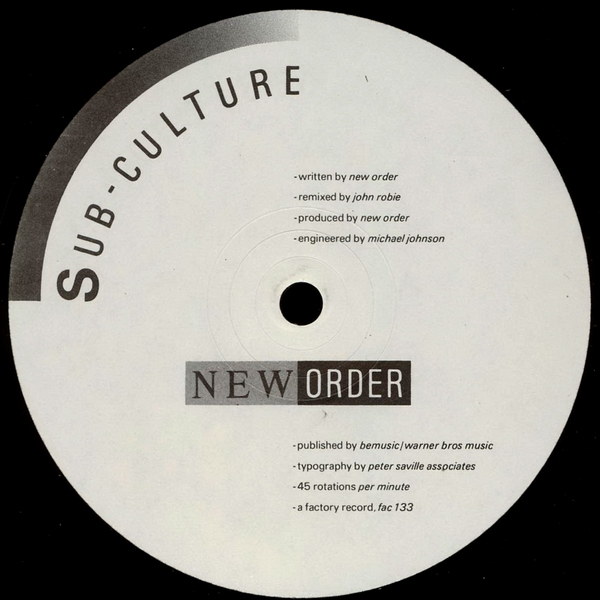 By the time New Order released Low-Life, the band had established a reputation for offering outstanding artwork on their singles, but when they released "Sub-culture," the album's second and final single, they did so by sticking it with a decidedly generic cover. The reason for this, if the New Order Discography website is to be believed, is that "apparently the designer of New Order's sleeves, Peter Saville, thought the mix of the song was so crappy that he didn't want to design a sleeve." We can't swear that this is true, but we can at least confirm that Saville wasn't afraid to take credit for the typography on the single, as it appears on his list of past work on his official website.